Australian bishop refused to inform Cork diocese about abuse allegations facing visiting priest. An Australian bishop refused to inform an Irish diocese about a priest suspended from ministry who was travelling to the diocese, correspondence from the National Board for Safeguarding Children in the Catholic Church (NBSCCC) to the Department of Justice shows. Documents released under the Freeedom of Information Acts show the issue was brought to the attention of the board’s chief executive, Teresa Devlin, during her appearance before the Royal Commission into abuse in Australia, in February 2017. Ms Devlin “was approached by parents of children abused in Australia who had alerted our office to a priest out of ministry visiting Ireland”, a letter from the board to the Department of Justice said. “The parents had asked the relevant bishop in Australia to inform dioceses in Ireland but he refused,” it said. The national board advised the local diocese and the “priest was refused permission to minister”, the letter said. The board declined to disclose the name of the bishop to The Irish Times, stating data protection concerns. The correspondence from the NBSCCC to the department shows there have been several cases of priests suspended from ministry pending investigations into sexual abuse allegations, who have continued practising in Ireland over recent years. 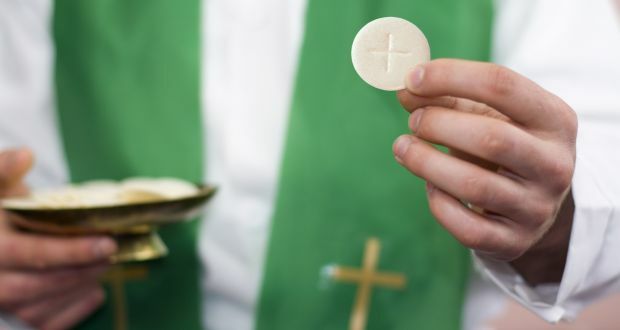 Priests are taken “out of ministry”, meaning they cannot celebrate Mass or other sacraments, when they are facing statutory or canonical investigations into abuse allegations made against them. In one case, a suspended priest who was “not in good standing” was conducting a healing ministry around the country without permission. When the State child protection watchdog Tusla was informed, the agency advised, “it was not a priority for them”, the NBSCCC told the Department of Justice. Church authorities notified all dioceses that the priest should not be allowed to minister “in order to safeguard children”, the board said.